Please note that due to inclement weather forecasts the Haunted High School hosted by the Class of 2020 has been postponed. 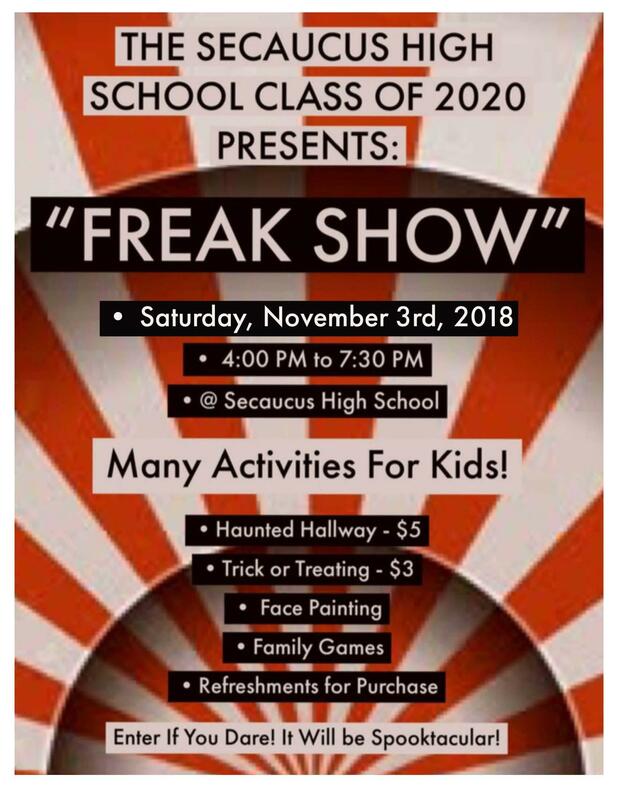 The Secaucus High School Class of 2020 presents "FREAK SHOW"
Time: 4:00 p.m. to 7:30 p.m. Please come out and support the Class of 2020 for this spooky event!